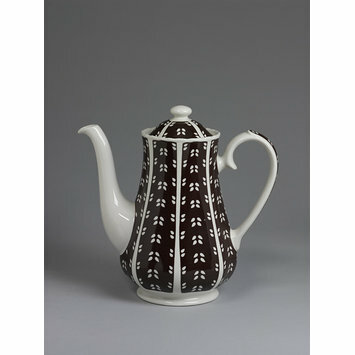 Earthenware coffee pot and cover decorated with dark brown bands of glaze with almond shaped stencilling in groups of four. 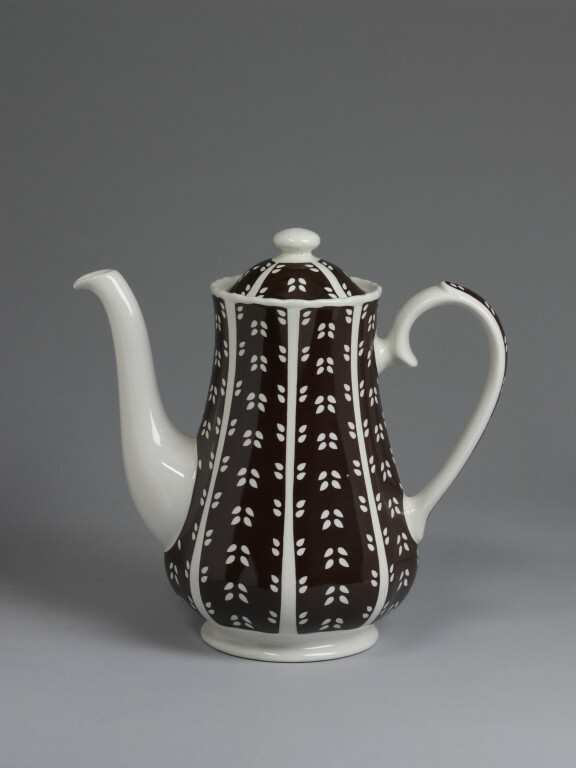 Coffee pot and cover, "Ermine" range, earthenware, moulded and glazed with stencilled decoration, made by Wood and Sons Ltd., England, ca. 1979.